About a year ago I decided to try and start cutting sugar out of my life. I haven't always been the best about it, but I started small (well actually big for me) by cutting it out of my morning coffee. If you know me at all, you know that was a huge thing for me. I tried going to straight black coffee, but I just couldn't do it after training myself for years of drinking coffee with my sugar. So I switched to honey, and amazingly enough it has worked well for me. However, I've been doing a little reading over the past few months about how honey still affects blood sugar and I kept hearing about stevia. I've tried it a little bit here and there, but never fully tried using it. 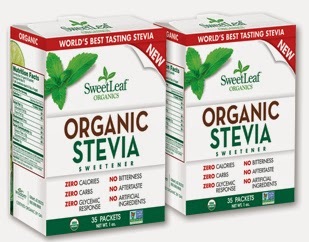 When I was given a chance to review SweetLeaf Organic Stevia Sweetener from Moms Meet, I was excited to see if I would notice a difference at all. I liked that it is a certified organic, zero-calorie sweetener made from high-quality stevia leaves. I've done enough research in the past on stevia to know that this is not always the case. 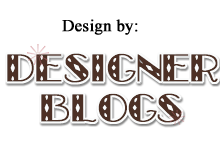 I liked that you can use it to sweeten pretty much anything, hot or cold, even roasted chicken or turkey! Being it contains no artificial ingredients, calories, carbohydrates, or glycemic response, it makes it perfect for managing blood sugar or calorie intake. I'll admit, I wanted to use it in baking but I just don't make enough sweets and so I never got around to trying it. I did however try it in my beloved coffee. I was super nervous doing so, but was pleasantly surprised that it tasted good. It still probably would not be my first choice, as I feel that stevia has an aftertaste that I cannot seem to get around no matter what. Overall, especially if I was wanting to be more health conscious, I would definitely use it. I'm looking forward to having some time to try it in baking in the future. Make sure you check out their website and Facebook page for more information, including some great recipes on cooking with SweetLeaf Organic Stevia Sweetener.